If the air in your home is too dry, you may need a whole-home humidifier installed to increase your moisture levels. Peninsula is happy to work with Carrier to bring their humidifier products to Delaware and Maryland residents. We can install, maintain, and repair your humidifier as needed to keep your home healthier and more comfortable. 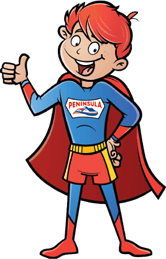 Call Peninsula at 302-629-3001 or contact us online to schedule Carrier whole-house humidifier installation, repair, or maintenance in your home today! What’s a Carrier Factory Authorized Dealer? Carrier is a company that takes pride in innovation, environmental responsibility, and customer service, all of which we also make a priority at Peninsula. They aim to create products that keep your home comfortable while minimizing emissions to protect the planet for future generations. From air conditioners to humidifiers, their HVAC products are made with expertise and the latest technology. Peninsula is proud to be a Carrier Factory Authorized Dealer, which means our technicians have been specifically trained to install and maintain Carrier products, including their humidifiers. A whole-house humidifier integrates with your existing HVAC system to add moisture to the air as it flows through your home. The blower unit on your furnace passes the newly moistened air through your ducts and into your rooms. The humidifier can be used concurrently with your heat or air conditioning, or it can be run separately when the heat and air conditioning are off. Spray mist humidifiers mist water vapor into your air ducts. They’re very low-maintenance; you’ll only need to remove limescale periodically. Bypass humidifiers drip water onto a pad. The water evaporates from the pad as air is pushed past it. To maintain the system, you must change the water pad about once a year. Drum humidifiers contain a water reservoir in the center. A fabric belt rotates past the reservoir, picking up water that evaporates as air blows past it. Drum humidifiers are very efficient but require regular cleaning to prevent mold growth. Improving the moisture levels of your air with a whole-house humidifier will benefit you and your family members in many ways. Dry air can cause wooden items like tables, pianos, and wood floors to crack and split, but adding moisture to the air can preserve them and keep them supple. With a humidifier, your allergies and respiratory problems may also be diminished since some moisture is soothing to the respiratory tract. Dust and other debris won’t stay suspended in the air so readily, so you don’t have to worry as much about breathing them in. When air is more humid, it feels a bit warmer than when the air is very dry. Once you have a whole-house humidifier installed in your Maryland or Delaware home, you may be able to keep the thermostat a bit lower in the winter while still enjoying the same level of comfort. This will lower your energy bills and reduce wear and tear on your furnace. If your indoor air feels overly dry, contact Peninsula to schedule an in-home consultation. We can help you decide which Carrier humidifier is best for your needs. Using our technical knowledge and expertise, we will install your humidifier and provide ongoing maintenance and repair services to ensure it continues to serve you properly. Call Peninsula at 302-629-3001 or contact us online to schedule whole-house humidifier services in your Maryland or Delaware home today! 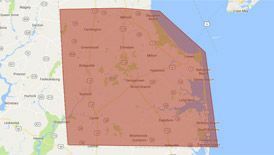 To find out more about Carrier system services in Delaware or Maryland, contact us today!